Positive Youths Out of Layou (PYOLA), last Sunday, claimed the league title of the 2016/2017 National Lotteries Authority North East Football competition. Confronting Je Belle in the final at the Chili Playing Field, PYOLAâs hold on first place came via kicks from the penalty spot. The two teams had to slug it out from the penalty spot, after both failed to score in normal time. PYOLA prevailed 4-3 in the shoot-out, despite having their marksman and most influential player Myron Samuel ejected by referee Moeth Gaymes, prior to the penalty kicks. Teron Miller, Jolanshoy Mc Dowall, Andre Robinson and Dennis Prescott converted their kicks for PYOLA, while Je Belleâs conversions came from the boots of Derron Rouse, Dustin Lewis and Theon Gordon. Earlier, in the third place play-off, Bruce Law Chambers Sparta FC of Diamond won by default over LP Boys. PYOLA earned a place in the final with a 2-1 defeat of Sparta FC in their semifinals showdown, while Je Belle overcame LP Boys 4-2 in kicks from the penalty spot, after a nil-nil tie. At the presentation ceremony, PYOLA collected the spoils of the challenge trophy, the first place trophy, medals and $3,500; Je Belle copped the second place trophy, medals and $2,500 and Sparta FC collected a trophy, medals and $1,500. In the individual awards, Kadeem Duncan of Brownstown United was Best Young Player; Best Coach â Delrick Charles of Je Belle Chapmans; Best Goalkeeper â Desroy Peters of SV United; Best Defender â Kendol Douglas of Sparta FC and Best Midfielder â Terris Joseph of Je Belle Chapmans. Biabou Unitedâs De Shawn Kydd, with 11 goals, was the Top Goal Scorer and PYOLAâs Lemus Christopher was adjudged the Player of the Final. All recipients got trophies and a cash of award $100. Also acknowledged with a token of appreciation was Dwight Baptiste, who is at the helm of the North Windward football set-up. 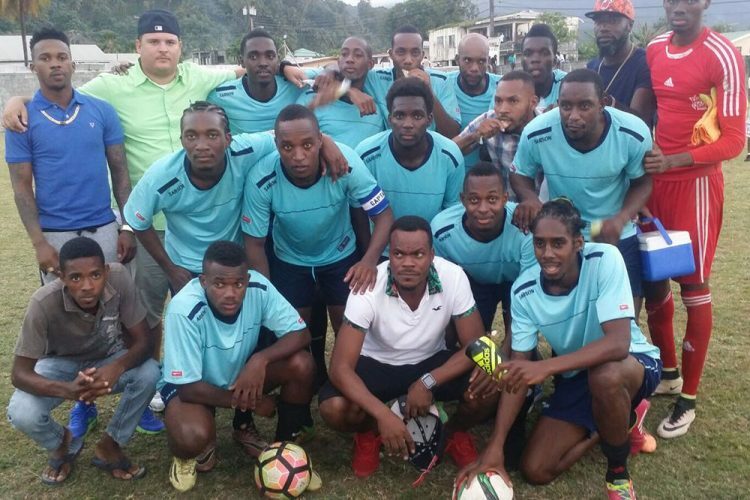 During the 2016/2017 inter-community football league, North Windward appeared in three finals. It was the first time that any of the teams got further from the preliminary round, more so into the finals. North Windward emerged as the Under-18 champions, and were runners-up in the Senior Menâs and the Under-14.